1) Visa service this Sunday, March 5, 10 am - 2 pm. Next service will be April 2, and May 7. Please note, there will be NO service in June, July. August service will be on August 27. 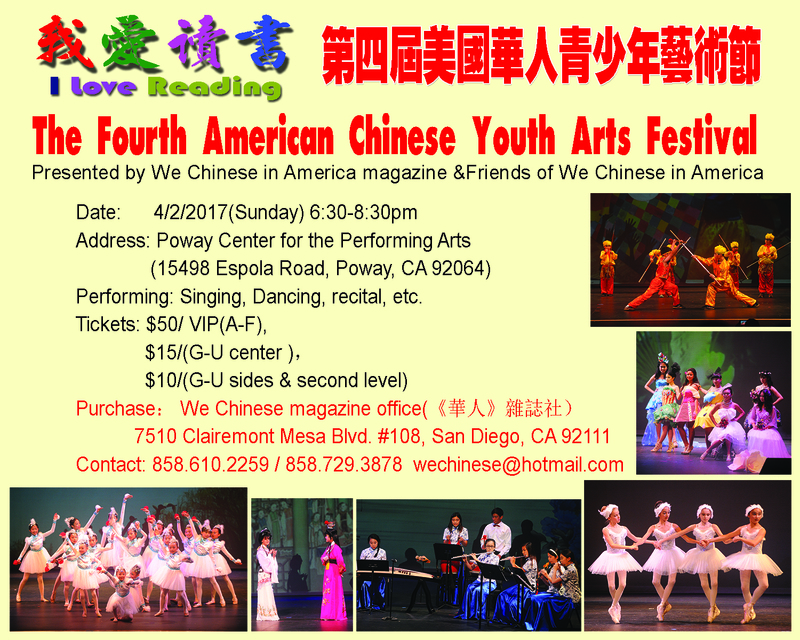 2) The 4th American Chinese Youth Arts Festival is still accepting art works for the contest. The deadline is this Saturday, March 4. See flyer for details. For tickets of the show on April 2 at Poway Art Center, you can find the contact information from the flyer as well. 3) Chinese Recitation class is back! for Now! by our prestigious Bai Laoshi. Registration: send email to Bai Laoshi at ypbai@sdhxcs.org. 4) "Chinese Culture Land 中华大乐园" summer camp! Info meeting is on this Sunday by I building, 9:30 - 11:00, and 1:30 - 3:30. You may also click here https://ingenius.us for registration. This popular 2-week program is sponsored by China Overseas Exchange Association, and executed by its Shaanxi (陕西) branch. Hua Xia will collaborate with inGenius and work closely with Shaanxi Province to bring this brand to Southern California! Wonderful courses: 仿唐乐舞，葫芦丝, 腰鼓，皮影，民歌，武术，书法，国画, all taught by professional instructors from China! Don't miss it! 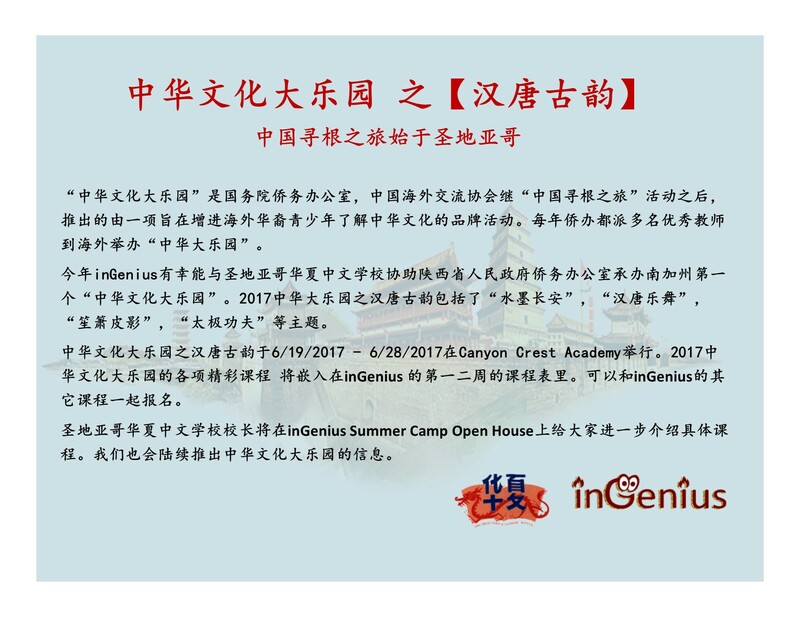 Please see attached flyers, and inGenius open house info.